All Instagram accounts allow you to sync with Facebook so you can post Instagram content directly to your Facebook account. However, I recently have come across several errors while trying to set up new accounts and make changes with Facebook integrations and third party apps. How to sync your Facebook Business Page instead of your personal profile. When you sync Facebook to your Instagram account the default setting will be to your personal Facebook profile. To change this, you need to sync it to a page that you are an admin on. How to sync your Facebook Business Page to your Instagram Business Profile. When you switch your account to a Business profile, Instagram will give you the option to sync it to a Facebook Page (not profile). It will look like it is mandatory, but take note you can skip this step and still set up your account as a business account without having a Facebook page! Instagram will give you the option to “claim your page” if you don’t sync it to a Facebook page during set up. You can start your new Facebook page this way, however, take note that Facebook does not allow you to change your page name for 7 days, and with several restrictions. Make sure your Instagram name is EXACTLY what you want your new Facebook page name to be!! If not, I recommend you set up your Facebook page independently of your Instagram account and manually sync the two after the fact. 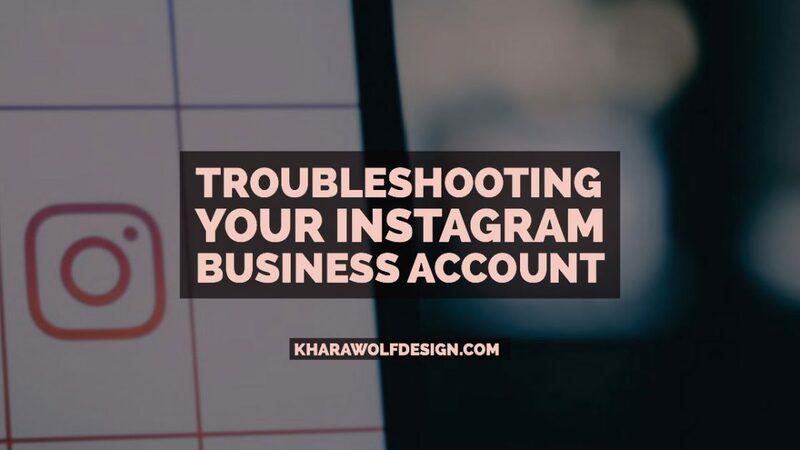 Changing the page associated with your Instagram Business account. If you need to change the Page associated with your business account, it is a little different. For regular accounts you can go to Settings -> Linked accounts -> Facebook -> Share to -> change page. The page needs to be published and you need to be an admin on it for it to show up under “edit profile”. Setting up an Instagram Business profile through Facebook Login vs an Email address. When you set up a new Instagram account, it will give you the option to login through facebook. The advantage of doing this is it will alert your Facebook friends (currently on Instagram) that you have just joined. If you already have another Instagram account associated with your Facebook login, I recommend starting your new business account with “sign up through email”. I recently worked with a client who signed up via Facebook login for a secondary account and had issues logging in third part apps through the username/password credentials.